Note: Only comments on this contest page will be valid. Complete all 3 steps below and stand a chance to walk away with a RC3 GPS unit! 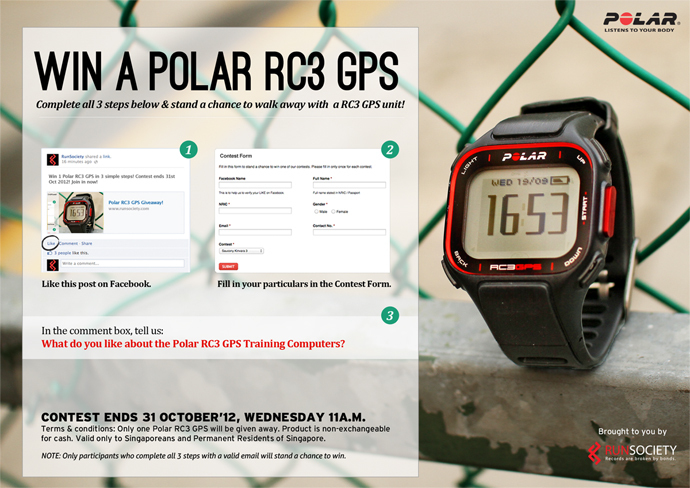 What do you like about the Polar RC3 GPS?